If you’re feeling especially festive come in your favorite outer space or futuristic-themed attire as we celebrate the out-of-this-world talent of our industry. When you reach for a bottle to find that it’s empty, it’s important to be ready to improvise. Whether it’s fruit that’s out of season, that bottle of super rare aperitif that you’re dying to mix up, or you’ve simply run out of one of your bar staples in the middle of a rush, it’s important to have effective substitutions ready to take center stage. Below you’ll find some handy suggestions on substitutions that could easily bail you out the next time you’re in a pinch. Warren Bobrow, author of “Apothecary Cocktails, Bitters and Shrub Syrup Cocktails, Whiskey Cocktails,” and “Cannabis Cocktails, Mocktails, and Tonics” relies on Fruitations Craft Soda and Cocktail Mixers when you need a quick — but still flavorful — stand in for fresh fruit juices. Fruitations is currently available in three varieties — cranberry, grapefruit, and tangerine. “It’s brilliant stuff,” Bobrow said. Sometimes it’s harder than it should be to get your hands on a specific liqueur. Sometimes, it’s just cheaper to make them yourself. Mike McSorley, Head Distiller and Brand Ambassador at Island Distillers, has a handful of quick fixes when behind the bar. Sometimes it’s simply a matter of being put in a tough spot in the middle of a rushed service. Izzy Ramos Foster, owner of Mixotica Cocktail Design, has had to make a handful of fast decisions in her time. Other off-the-cuff substitutions have been a bit more unique. “I’ve also had to resort to using crushed Altoid breath mint powder (diluted in a bit water and strained) a couple of times when a sudden Mojito craze hit, fresh mint ran very low, but the cocktails needed to go out stat,” she said. 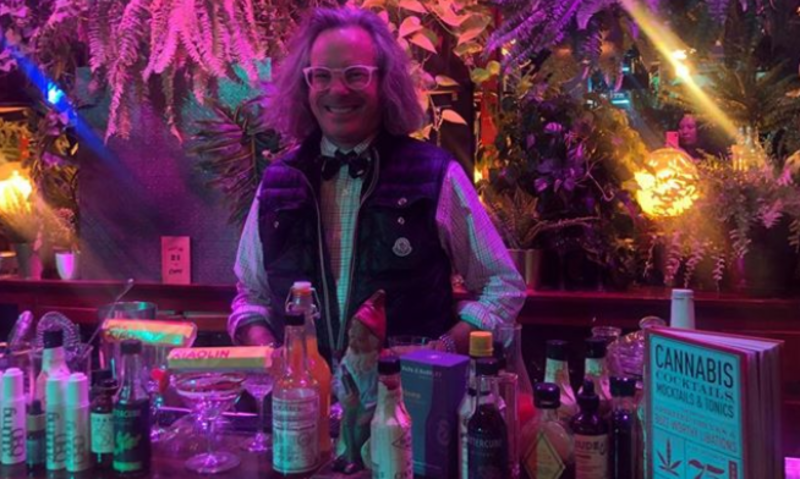 “It’s not my proudest ‘professional bartending’ moments but it worked and the party went on! When it comes to replacing ingredients, remember that like replaces like. For example, if you’re short on Cynar, you could easily swap out with a similar potable bitters like Campari (although it’s much fruitier than Cynar), Fernet Branca or Punt è Mes — a dark, bitter Italian vermouth produced by Carpano. Consider the balance of your drink and its key features, and you can even create some unique cocktails by switching out key ingredients. For example, if you’re short on vodka when dying for a Moscow Mule but happen to have a silver rum in the house, replacing the vodka with rum leads to the heavier, richer Jamaican Mule. Finally, have a working knowledge of how flavors relate to each other — and an even better understanding of what you actually have access to behind your own individual bar. “Knowledge is key here,” said Matthew Biancaniello, owner of Eat Your Drink, LLC. Specifically, while behind the bar one night Biancaniello noticed he had suddenly run out of fresh lime juice. What he did have, however, was fresh passion fruit juice. The key to quick substitutions behind the bar is a deep knowledge and appreciation of similar flavors, a willingness to play around with different ingredients, and the ability to think on your feet. Substitute liquors and liqueurs from the same family. In a pinch, rye can stand in for bourbon. Take the time to play around with different flavors before you really need to punt. Having a knowledge of parallel flavors will keep your flavors relatively consistent. Don’t be afraid to play around with different flavor combinations to create something new (so long as your patron knows that you’re being creative). 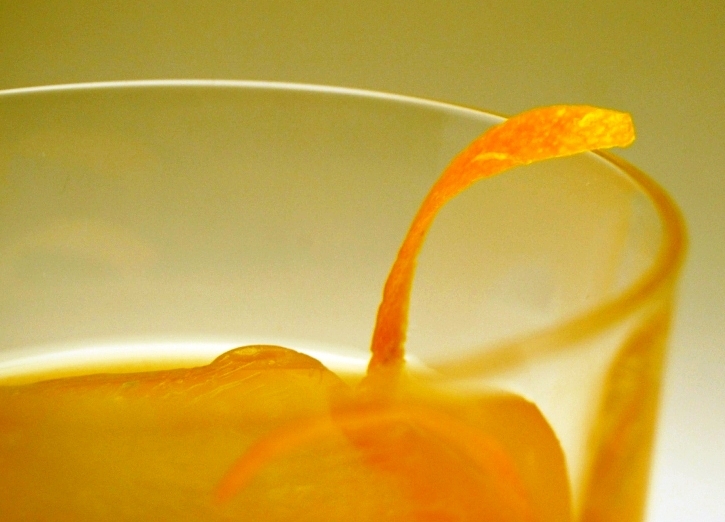 By Warren Bobrow, Cocktail WhispererIt’s remarkable how fine spirits respond to freshly squeezed juices. But imagine for a second that you don’t have a great source for perfectly ripened fruits. I know that in New York City, we always can get something fresh and lush, even in the corner Bodega. But just outside the city things are much more dicey on the freshly squeezed juice front.Fortunately I’m well versed with the gorgeous product named Fruitations. While I was down in New Orleans during the recent Tales of the Cocktail, I was pleasantly surprised to see many bottles of Fruitations. But that’s not why I love Fruitations, although it was great to see the product get international recognition. What I like about this product is the unmistakable taste of freshly crushed fruit. That means something to me. Read on! While I was down in New Orleans, feeling the sweat pour down my back because I walked nearly everywhere in the 100 per cent humidity days, I had the honor to sit down with Jason Kosmas of the 86 Company. I’m sure I looked like something that just came up out of the swamp for the first time, because I asked for a bar rag instead of a napkin to dry my brow. They say in the South, that you don’t sweat- you glow. Well my friends, I was not only sweating, every drop of my fiber was pooling around me and soaking my clothes. It wasn’t as hot as past years, but the humidity more than made up for the lack of burning summer’s heat. Jason re-introduced me to his line of highly expressive spirits. He made note of the new label design, how it comes off easily and the reason for all those hatch marks in the bottle. I always knew that the bottle with a long neck fits into my hand easily and won’t slip out. This is important to anyone who is limited on time in a high volume cocktail bar. The shape of the bottle is important too, easy to fit into a speed rack, with a narrow, rounded surface. Very impressive are the measurements on the side of the bottle as well. This allows the bartender to batch with relative ease. But the most important thing about these products isn’t the pretty label, or the markings on the bottle, what is most important what is inside the bottle. Francisco “Don Pancho” Fernandez carefully makes Caña Brava rum in Panama. This Cuban-styled rum is a rarity in the United States where most of the high volume products barely taste like rum at all. Not to point fingers at any one producer, I’m less than impressed by rum that tastes like vodka, if I wanted to drink vodka, I would… This is gorgeous rum that tastes like the rum I bought in Duty-Free in Rome last September. Francisco made Cuban rum for 35 years and now he is making it for the 86 Company as he did in the old country with an antique copper and brass column still during the days of America’s Prohibition. His rum is filtered, crystal clear in color and rambunctious in the mouthfeel. Woven into cocktails, Caña Brava will most certainly fool you with its authenticity towards the very rare rum from Cuba… And as anyone who has traveled abroad knows, bringing back a few sample bottles is not frowned upon, yet one cannot just buy a bottle at their local package goods store. Send for a bottle from DrinkupNY, do it now! Tenneyson Absinthe, just a drop really- added to the Caña Brava and the Fruitations Tangerine Soda and Cocktail syrup makes a fine cocktail even more alluring. When I saw Graham Wasilition, the enthusiastic owner of Tenneyson down at Tales, I wanted to tell him about this cocktail- but time didn’t allow it. Tenneyson is unique to the Absinthe market. It comes clear, without dyes or other artificial ingredients, but when you add it to a cocktail or just dribble some cool water over the top, magic happens in your glass. It makes me thirsty just to think about it! As most of my cocktails contain bitters, the Bitter Truth Lemon Bitters is a fine way of finishing this lush cocktail. 2 oz. Caña Brava Rum from the 86 Co. Article by Warren Bobrow, a nationally published food and spirits columnist who writes for Williams-Sonoma, Foodista and the Beekman Boys. His first book, Apothecary Cocktails has been nominated for a Spirited Award at the 2014 Tales of the Cocktail! My first book, Apothecary Cocktails has been nominated for a Spirited Award for the 2014 Tales of the Cocktail! By Warren Bobrow, Cocktail WhispererAtxa Vermouth Tinto, Eden Orleans and Gabriel Boudier Saffron Infused Gin make for a Negroni of otherworldly flavors and textures.But first of all, what is a Negroni? Well, the historic reference for drinking them dates back to the mid-1970’s. I was on yet another trip to Italy, along with my parents. It was an upbringing that you cannot read in a book, nor watch on television. Movies only offer snippets of recreated European travel, so the only way to really understand Europe is to go there and whatever you do, don’t take a tour-bus. You might as well eat all your meals at Americanized fast food restaurants because to experience Europe you must eat and drink like a European. Just my opinion.My parents never begrudged me the occasional beer or glass of wine either with our meals. I think they thought that I’d be less likely to abuse alcohol if it was around all the time. Of all the things I disagree with, in regard to their style of child rearing, this was the only one that made perfect sense.To this day I look at Day Drinking as the only time I really enjoy a cocktail. I suppose it dates back to being in Europe as a boy and drinking every day!The Negroni was not necessarily something that I would order in a restaurant, but I do remember vividly the first time I saw one. We were in Rome, staying at the Hotel Hassler at the top of the Spanish Steps. Lining the steps were cafés, really no more than a couple of stand up tables with stand up guys and their girls sipping vivid red short cocktails. After a couple of these potent drinks everyone becomes like actors in a Black and White Fellini movie. That is what Rome represents to me, even to this day. If you close your eyes when visiting Rome and open them on the Spanish Steps – well, you’ll see what I mean. The light hasn’t changed although seeing the world in color is much different than in Black and White in the Fellini films. Back to the Negroni. Count Negroni as legend has it was rather fond of the cocktail known as the Americano (Campari and Vermouth with soda water). Being a nobleman with either a stomach ache or a drinking problem – or both…, he asked his bartender to change the cocktail and remove the fizzy water in favor of a large dose of gin. As it turns out to fans of the classics, and with history being my guide, this drink of Campari, Sweet Vermouth and Gin- to present day is still named the Negroni. I’m certainly not calling my drink a Negroni, but what I will call it is the Hubbery Devrey Cardigan, named after a character in Monty Python’s Flying Circus. It’s a silly name for a very grown-up sense of humor, dispensed sip-by-sip. In this case on ordering a Negroni, while walking up (or down) the Spanish Steps, your typical combination of Campari, Sweet Vermouth (often of a dubious origin) and gin (is that gin or rockgut?) is poured down the throats of thirsty tourists in bars that line the broad Spanish Steps in Rome. May I propose something completely different in this case. Being someone who is not a Nobleman, well this does create certain difficulties when working with venerable cocktails such as the Negroni. Please hear me out on this; I think the finish is brilliant and very, very fresh. And modern. And fascicle. Because life is meant to be all things, bitter, sweet and strange. I’ve been drinking Spanish Vermouth as of late. These are brilliant efforts are made with some of the most expressive base wines available from Spain- and only in miniscule quantities. Spanish Vermouth is certainly a gourmet’s pleasure. Atxa Vermouth Tinto is from the Basque Region of Spain. It is a lovely sipping Vermouth, bursting with flavors of citrus and tobacco. I love it in a Negroni, especially one of a different stripe like the Hubbery Devrey Cardigan Negroni. Next in this philosophically incorrect version of the classic Negroni I’ve included Orleans Bitter Aperitif Cider infused with red currant and bitters, I know already that your ears have perked up and the word bitter may connote something else entirely. Whatever your idea is about Campari, may I please suggest substituting the Orleans Bitter with red currant and bitter herbs instead? Thank you. And now in a tip of the hat to the alchemists who discovered that saffron really is worth muchGabriel Boudier Saffron Infused Gin as the gin component to this cocktail. Who can resist something as elegant as gin in a cocktail that is woven it seems from the finest grains and the best saffron that money can pluck from impossibly tiny flowers. Did you say add saffron to a Negroni? I think so, rabbit. The gin element is unmistakable. You cannot imagine what this drink was like without the deeply mysterious aromatics of exotic saffron coursing through each sip. The combination of the Orleans Bitter and the Spanish Vermouth along with the saffron infused gin is otherworldly. I finish this drink with a splash of Bitter Truth Grapefruit bitters. My thoughts are simple. Where there is gin, somewhere there should be juice. Or bitters, or something. I forget. I’ll have another please. Just make a few and let me know how you enjoy it. Article by Warren Bobrow, a nationally published food and spirits columnist who writes for Williams-Sonoma, Foodista and the Beekman Boys. There was a fine gal named Laurel. So there would never be bitters to spoil! The clouds are rushing in this morning. Rain is pouring heavily from the sky in buckets. Someone said something about heavy thunderstorms and sixty- degree weather. This is not winter- I’m confused. Certain types of confusion- such as the weather do strange things to my sense of normal. But what is normal these days? Is it finally Winter? I hope so. This may be just an anomaly. It’s a mere blip on the radar screen. While down in New Orleans for Tales of the Cocktail- I had the pleasure of meeting and enjoying a cocktail at the historic carousel bar at the Monteleone Hotel with my friend Bill York of Bitter End Bitters and his lovely wife Laurel. As the carousel made the slow go-round and all those around me became more and more sloshed, (present company excluded) my cocktail driven sense of self detached from the reality of the situation. Now, many months later, I’m reminded of the restoratives served at the Carousel Bar and the friends I made while circling the room as the seconds ticked away. Makes one very dangerous drink. Stay off the roads! Preparation: To a cocktail shaker- add ½ with ice. Add Scotch, honey, juices and bitters, shake and pour into a short glass with fresh ice. Garnish with a grilled orange slice and sip to the mournful sound of that strange, yet familiar song from Chet Baker- My Funny Valentine- all sung in minor notes. Very appropriate for a 60 plus degree winter day.